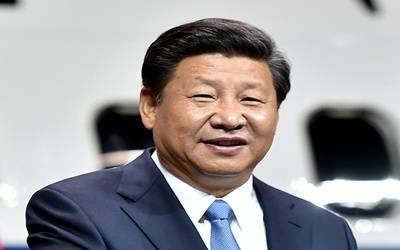 Buenos Aires, Dec 2 (IANS) Following a "highly successful meeting" here between US and Chinese Presidents Donald Trump and Xi Jinping, the leaders of the two largest economies have agreed not to impose new tariffs from January 1, 2019, and pledged to continue negotiations to seek a way out of the ongoing trade war. The dinner meeting between Trump and Xi on Saturday on the sidelines of the ongoing G20 Summit, lasted for two and half hours, reports The Washington Post. Trump has also agreed to hold off on raising existing tariffs on $200 billion for 90 days, pending new talks. In brief remarks at the outset of the meeting, Trump said the two leaders and their advisers would discuss a range of topics. "We’ll be discussing trade. And I think at some point, we’re going to end up doing something which is great for China and great for the United States," he said. Xi replied with a reference to the leaders’ "personal friendship" and responsibility for "world peace and prosperity". Chinese officials, caught off guard by the aggressive US moves, retaliated with import taxes on such American products as soybeans, automobiles and liquefied natural gas. Also on Saturday, the G-20 leaders agreed on a communique that reflected shared ambitions in economic development, finance and trade, The Washington Post reported. The communique was in harmony with "many of the US’ biggest objectives", especially in backing reform of the World Trade Organization. On climate change, however, the US remained the lone holdout, with 19 other leaders pledging to implement the Paris accord to fight global warming. Washington instead reiterated Trump’s decision to withdraw from the accord. G20 leaders also agreed that the global trading system "is currently falling short of its objectives" and agreed to take stock of proposed overhauls at next year’s summit in Japan.